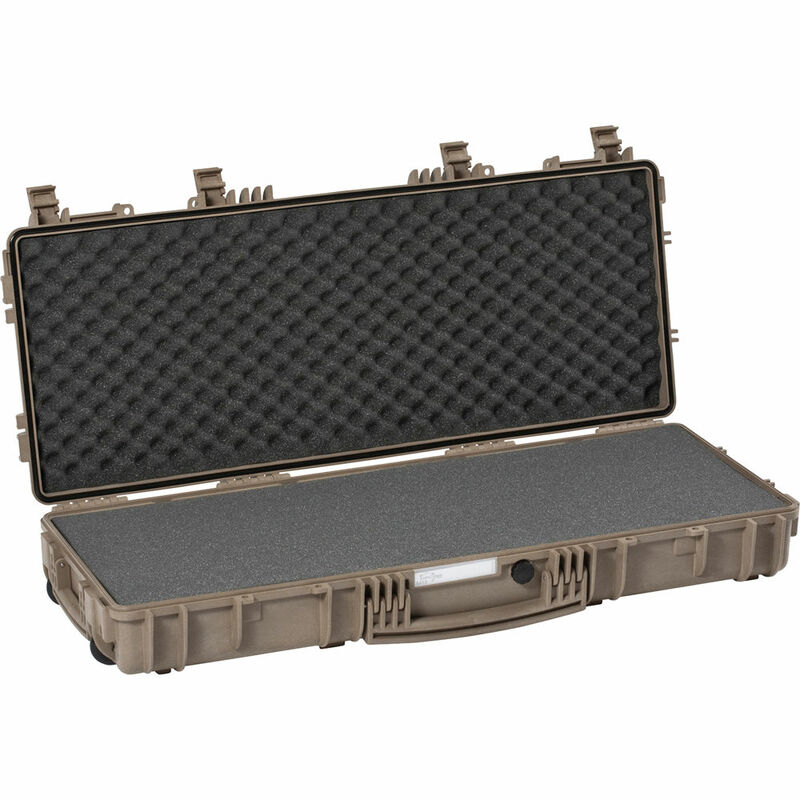 Store and protect your valuable gear in this waterproof and chemical-resistant, desert sand Large Hard Case 9413 D with Foam & Wheels from Explorer Cases. This case is a humidity and dust resistant case made of a copolymer polypropylene compound. With interior dimensions of 37.0 x 13.9" and a total interior depth of 5.4" from the lid and base, one can transport sensitive gear such as electronics, satellite communications devices, computers, military equipment and more. The case includes pre-cubed foam layers to protect your equipment. To carry the case, there are two side grip handles and wheels with bearings. Additionally, you can use the large front handle or an optional shoulder strap. Box Dimensions (LxWxH) 40.0 x 18.0 x 7.0"
Large Hard Case 9413 D with Foam & Wheels (Desert Sand) is rated 5.0 out of 5 by 1. Rated 5 out of 5 by Eddie from Another Great Experience Great Deal, Great Product and I was in a huge rush and B&H made it work out!